Who would’ve ever thought VeryVera and Indianapolis would go hand-in-hand? 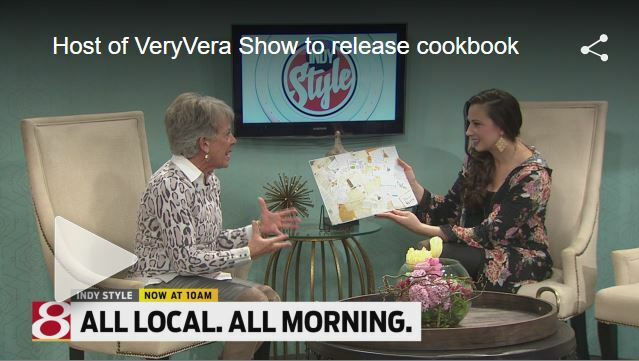 We’re so excited that The VeryVera Show is taking off in Indianapolis on WISH-TV, and we’re equally excited that Park Tudor School has taken VeryVera Cooking Camp for summer 2018. Recently, Vera and I (Emily Yates, Creative Director) made the trip to Indy to officially meet our friends at WISH-TV and to hold a training day with our VeryVera Cooking Camp directors. Upon arriving in Indy on Thursday, March 1st, we headed straight for the beautiful Ferguson Appliance Showroom for a meet and greet. We obviously wanted to have some small bites for our guests, but we wouldn’t be able to haul food with us or prepare some when we arrived. Chef Kat Weathers was recommended to us by our contact at Ferguson. 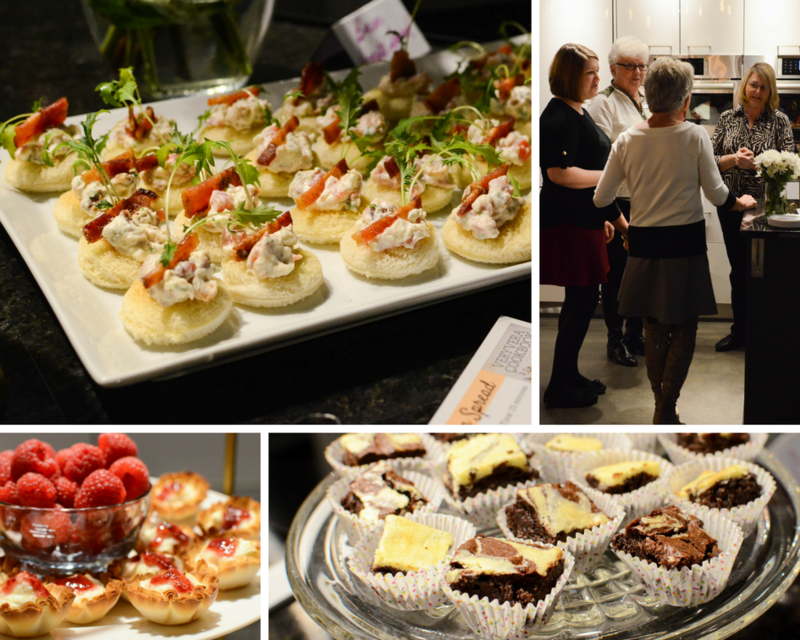 We handed over a few cookbook recipes with a lot of trust, and Chef Kat delivered beyond our expectations! We walked into the showroom to see our recipes executed flawlessly and were greeted by the shining smiles of Kat and her daughter, Alexia. It was a pleasure to share some time meeting a few of our Indy fans and sharing the story of VeryVera over some delicious cookbook recipes. If I can be counted on for anything as a member of #TeamVera, it’s finding the best local restaurants for our lunch and dinner. 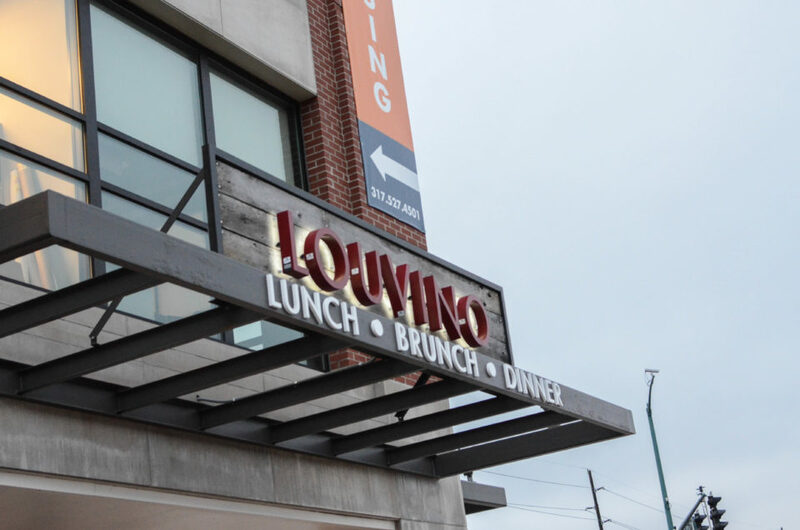 After our meet and greet, we braved the cold and wind to head to Louvino, a wine bar and restaurant just a few minutes away in Fishers. Vera and I arrived just in time to this cozy, inviting eatery. We were some of the only people there when we arrived, and the restaurant was full when we left. Our waiter, Moe, was so friendly and gave us the spiel on Louvino’s small plates selection; half the menu rotates every few months according to which ingredients are available, and the other half is solely crowd favorites. 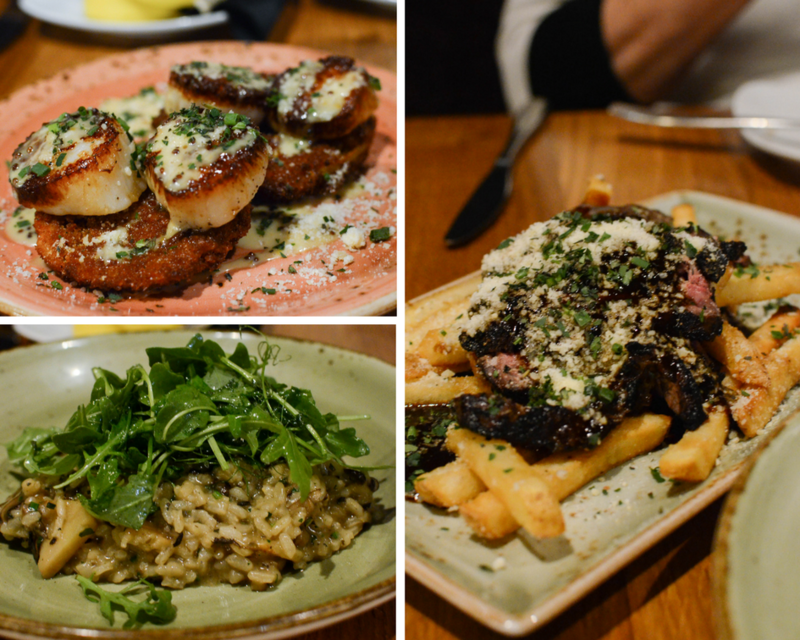 Dinner consisted of three small plates between the two of us: seared scallops on a bed of fried green tomatoes with a maple mustard sauce, steak fries with marinated skirt steak, truffle Parmesan fries, and demi glace, and risotto with mushrooms and arugula. I’m a noted arugula disliker, and I was fawning over the risotto like I was tasting arugula for the first time. 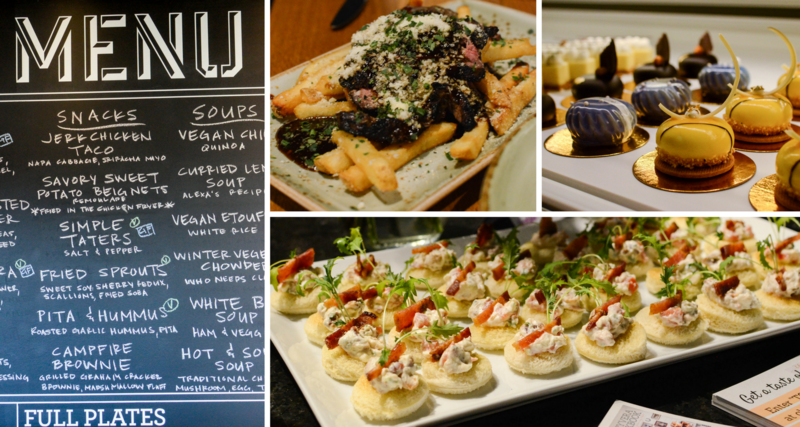 Each dish was perfectly executed! After talking to Moe about the reason for our visit to Indy, he grabbed the manager, Michael, a fellow southerner. Michael shared the story of Louvino with us: a pharmacist couple that graduated from the University of Georgia moved to Louisville, opened a few wine and painting studios, noticed a lack of wine bars in the area, and started their own. Of course we both lost it as fellow UGA alumni. As if we couldn’t have thought more highly of Louvino, we left totally in love. Friday morning, we were up and at ’em early to be at WISH-TV to appear on Indy Style, their local lifestyle show. We walked in the door and were greeted with, “Vera!” Professionalism! Amazing! We were led to the beautiful (and literal) green room to await our segment with the cheery and welcoming Amber Hankins. Vera and I were both blown away by how organized the process was from the moment we walked in to the moment we walked out. Within half an hour, we entered, Vera was mic’d, she and Amber filmed their segment, we met the general manager of WISH-TV, said “good morning” to Gilbert Gottfried in the hallway (??? ), and went on our way. We had a little bit of time to kill before lunch and camp training, so we stopped in at Silver in the City for some quick shopping. We walked in and began speaking to the employees when a man stepped out from around a shelf and said, “You’re on TV! I recognize your voice!” I guess an accent like Vera’s isn’t heard too often in Indy. 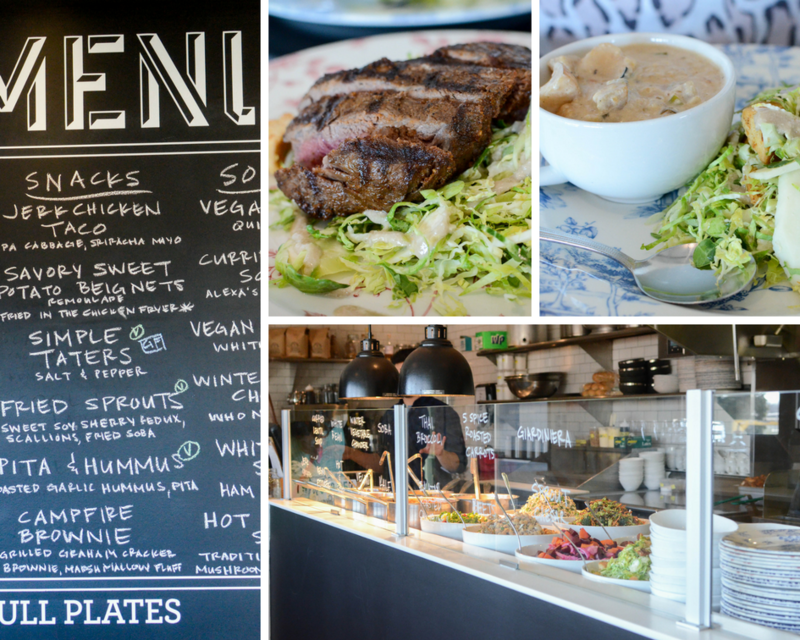 Next stop was lunch at Public Greens, a sort of “build your own” cafeteria-style place. We lucked out again here and arrived just before things got crowded. We were greeted at the door by a very helpful employee who explained the menu and offered recommendations for great combinations. Vera and I both opted for the Brussels sprouts Caesar. She added a cup of winter veggie chowder and I topped my salad with some sliced tri-tip steak. When we finished up, we headed off toward Park Tudor, or so I thought. Turns out I started driving in the wrong direction. I texted my contact at Park Tudor, Stephen Greiner, to say we might be pulling up right at our appointed time. He said that was fine and not to fall into a pothole, which leads me to a quick aside. I’ve lived in Georgia for my entire life. I’ve only ever visited the north twice–two trips to NYC. As such, I was completely unprepared for the potholes that follow a harsh winter in a northern city. It only took me driving from the airport to our hotel to realize that this was an issue, and I was shocked to find out that these massive potholes are caused by the continual freezing and thawing of the roads, which means northerners have to deal with this every year. Bless their hearts. Anyway, we arrived at the gorgeous campus of Park Tudor School and were greeted by Stephen, the school’s Director of Auxiliary Programs & Summer School. Vera and I knew we would love Stephen just from our interactions over email and phone. He was just as warm and engaging as we expected him to be. 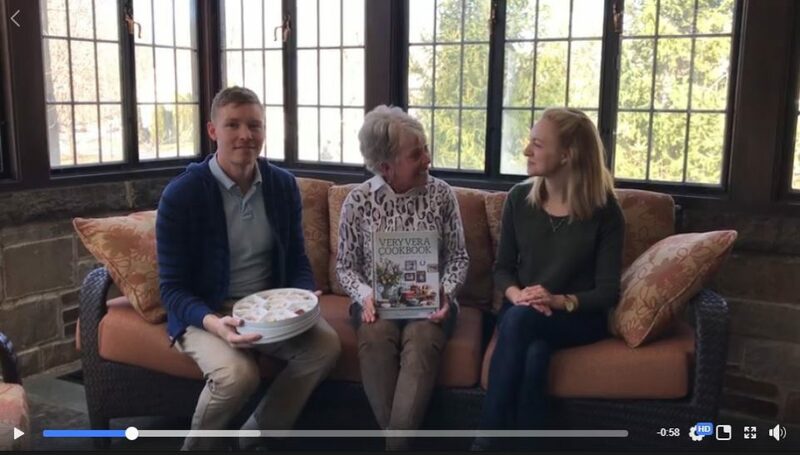 Stephen introduced us to Grace Meier, who will direct all three weeks of VeryVera Cooking Camp at Park Tudor this summer. Grace spent the first 11 years of her life in Atlanta, then her family moved to Indianapolis. She attended Park Tudor, went to school for music, came back to Park Tudor as a teacher, and has now struck out on her own as a small-business owner. She is a member and manager of the Deoc Ensemble, a string quartet that stays busy playing in weddings and events in the area. Naturally, Vera was drawn to her entrepreneurial spirit. After our almost 3 hours of training, Vera said she almost became emotional because we could not have hand-picked a more fitting Camp Director than Grace. We absolutely cannot wait to see how well-executed our program will be at Park Tudor this summer. Naturally, I had a plan in place for dinner that evening, but Grace kindly invited Vera and me to have dinner with she and her husband at their favorite spot. 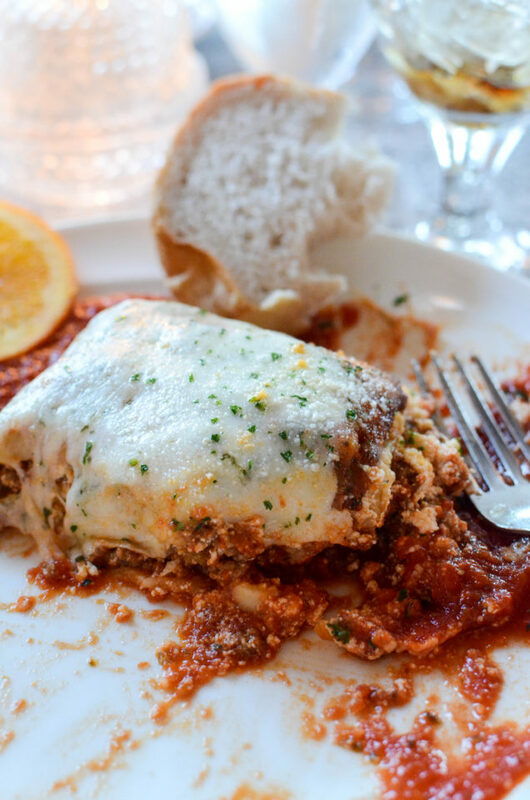 We met a few hours later at Mama Carolla’s, a staple Italian restaurant in the Broad Ripple neighborhood of Indy. As we pulled into the parking lot, I smelled garlic, which is a great sign. Vera and I had the greatest time getting to know Grace and her husband, Jordan, over amazing Italian food. Vera ordered a rosemary chicken lasagna at Grace’s recommendation, and I ordered a traditional lasagna at my own recommendation. I was halfway through my lasagna before I realized I hadn’t snapped a picture. It’s that good. We loved hearing the story about how Grace and Jordan met and had their first date at the next table over from where we were sitting. They live right around the corner from this spot and often walk over on nice evenings. 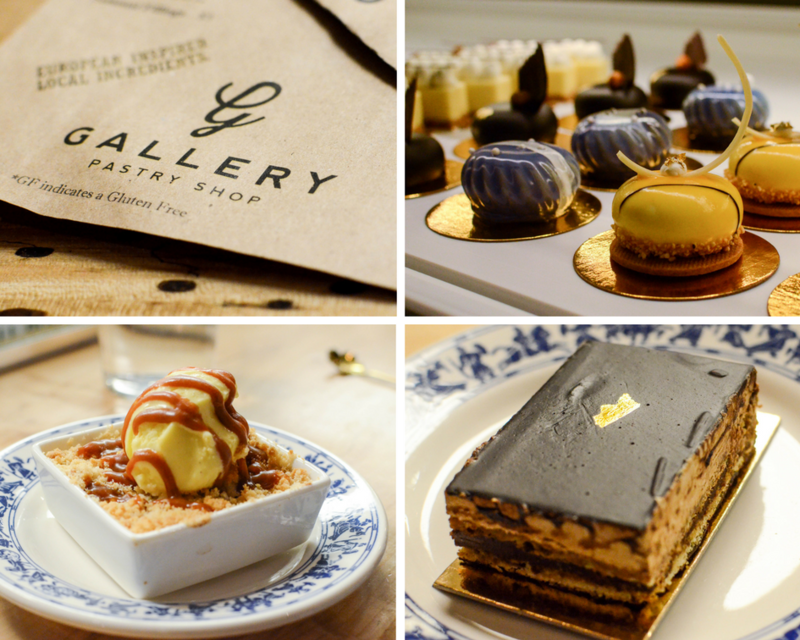 The Meiers had a prior engagement to attend following dinner, but they were insistent we try out a pastry shop that happened to be right down the street. Our pastries came out perfect and delicious. Vera opted for a warm apple crumble with vanilla ice cream and caramel, and I chose a chocolate-coffee something with fancy gold leaf on top. Both were fabulous and vanished within minutes. Every offering in the case was a work of art, truly. We drove back to the hotel full, content, and unable to stop talking about the amazing people we’d been able to meet in barely over 24 hours. Indy gave us so many connections to passionate, driven people and left us with endless possibilities to explore. We feel so fortunate that WISH-TV took a chance on a locally-produced show out of Augusta, GA. None of this would have been possible without that leap of faith. Thank you to all our new friends in Indy. If you live in the Indianapolis area, consider yourself so lucky! If you don’t and you’re looking for a great location to visit on your next vacation, scroll through those food pictures one more time and I think you’ll have your answer.